The Jan Padrnos original large-capacity coat rack will be certainly revered by those who love pure minimalism and the modern pairing of form and function. The fully functional wood coat rack has a playful and imaginative tee shape but is easy to use with the slanted grooves to hang your things. The base is cement making this coat rack slim yet stable. And the post is made from beautifully grained natural European Oak. 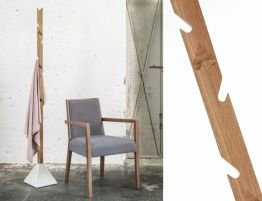 The coat-hanger Tee comes from the inspired and irreverent mind of Czech designer Jan Padrnos and Padrnos won the prestigious Interior Innovation Award 2012 for this forward modern coat rack. Tee, as it is referred to, is well ahead of the game in both technical workmanship and practical application. 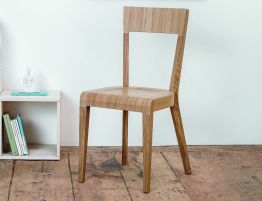 With a compact yet heavy cement base and a slim yet stable striking European Oak post, this is a design masterpiece. And the post is made from beautifully grained natural European Oak. For our discerning modern furniture lovers, we offer the original Jan Padrnos Tee wood coat rack as a way to use premium materials judiciously to conserve space. 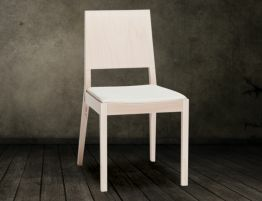 Manufactured by European furniture leader TON CZ, the space savvy form exudes usefulness and minimalist, modern style. Put the Tee coat rack in your entryway and it won’t wear out its welcome. Or put this in your master suite for when you don’t feel like putting your clothes away at the end of the day. Or put the Tee coat rack in your child’s room for a sturdy, useful designer object that speaks volumes about your good taste—even in a kid’s room. According to designer Jan Padrnos, this is a coat-hanger which won’t consume too much space vertically, yet it has an expansive capacity to hang thing upon. 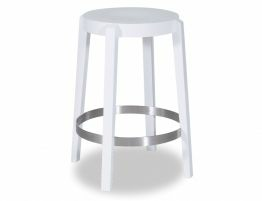 Because of Tee’s variable height level, even small children can reach it making it a great piece for the bustling family o many. As the foremost European furniture manufacturer, TON has a wonderful reputation for innovation, expert workmanship and premium materials. The Tee vertical coat rack is no exception with the use of European Oak that offers attractive graining and solid construction.